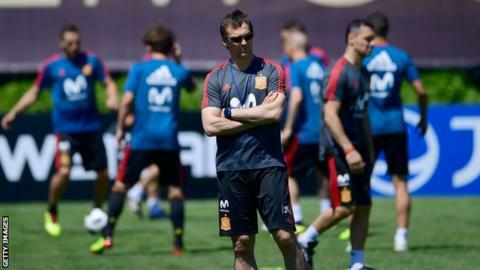 Spain sacked head coach Julen Lopetegui after he was named the new Real Madrid boss – two days before their opening World Cup match against Portugal. The World Cup in Russia starts on Thursday. “I know it’s a very difficult situation. I know there’s going to be criticism whatever I do,” said RFEF president Luis Rubiales, who was told of Lopetegui’s new role five minutes before it was announced.